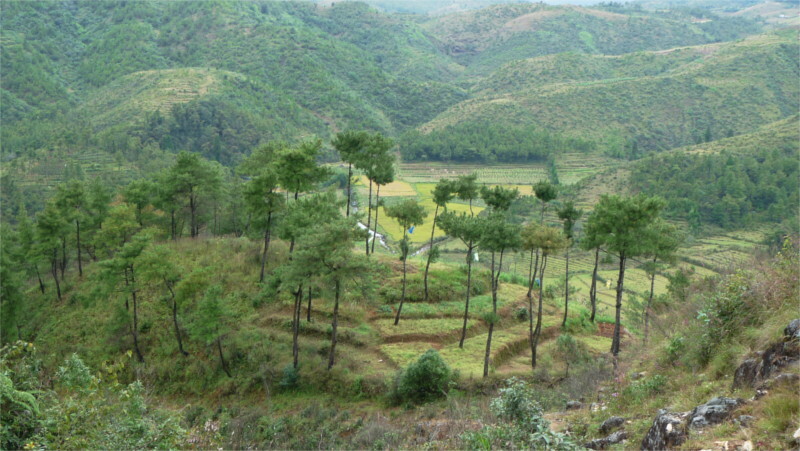 The sacred forest of Mawphlong village, one of over a hundred such places sprinkled through this plateau, is said to be home to a deity called U Ryngkew U Basa. 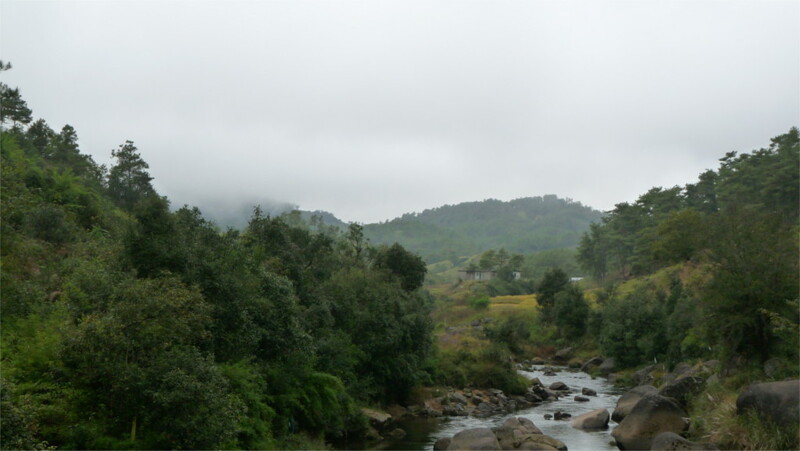 This 75 acre forest is governed by the clan of priests called the Lyngdoh. Since this was the closest to Shillong, we drove down there. A fair was being set up when we reached. There were lots of tents, some signs directed us to empty places which would presumably fill up later. We wandered about, unable to figure out anything. Some people helpfully told us to come back later. When The Family asked about the sacred forest, people pointed in some direction. Raju had decided to take the car back to the designated parking area and wait there. Later I thought that maybe he was uncomfortable here. That was a time of violent and exclusionary identity politics. Being so obviously tourists, we were safe. But maybe Raju felt he wasn’t. We walked in the direction which was pointed out and came across a field of Khasi monoliths. Typically they are set up in a sacred forest or just outside them, and commemorate either events or ancestors. I wondered about the dating as we walked into the copse of trees under which these monoliths stand. The monoliths had no writing on them, and their purpose can only be explained by someone who knows about then. Having a guide with us would have been good. We wandered back and watched some archery practice. The people involved were of all ages, but shared a certain squinty eyed gaze at the target. The main competition was much later in the day. The place had the unsettled air of people having arrived too early for what they wanted. The sacred forest was not very close to here, and the disruption of the fair blocked off our way. We walked to one end of the fair ground and looked down at the green fields of the Mawphlong village. The forest held its secrets. We would have to come back another time to walk through it. 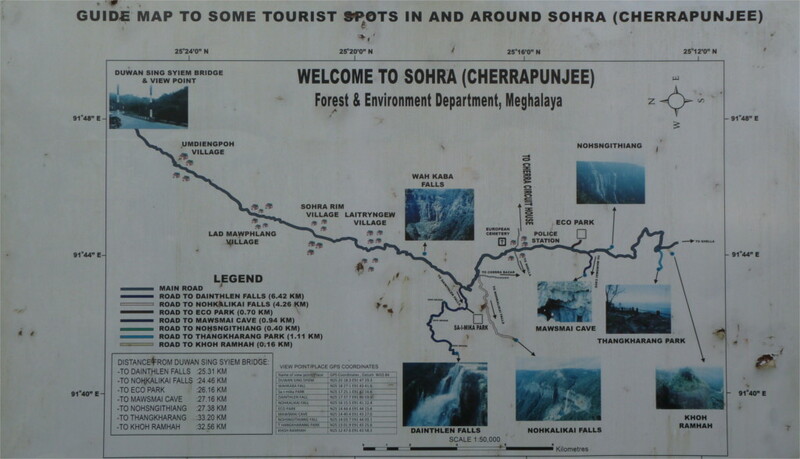 On our earlier visit to Sohra we’d taken a detour from the Shillong-Sohra road to see the Dain Thlen waterfall. 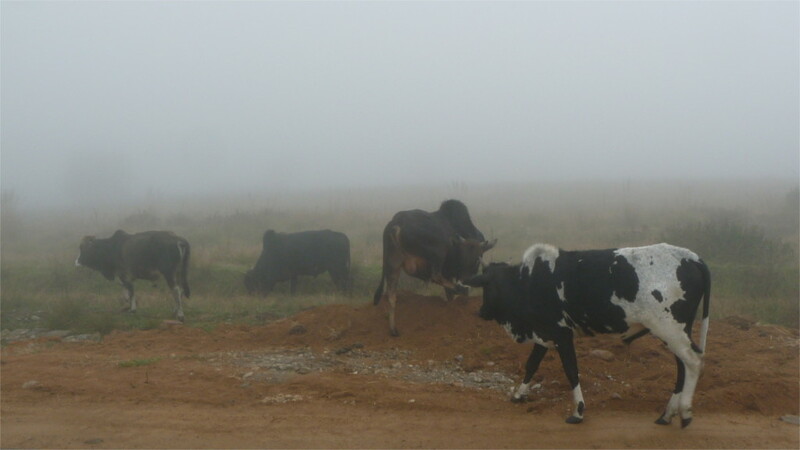 It was a few kilometers away from the main road on a black-top road which was not in perfect repair. There is a interesting story associated with this waterfall. The short version is that Thlen was an enormous snake which would eat every second person who passed this road. 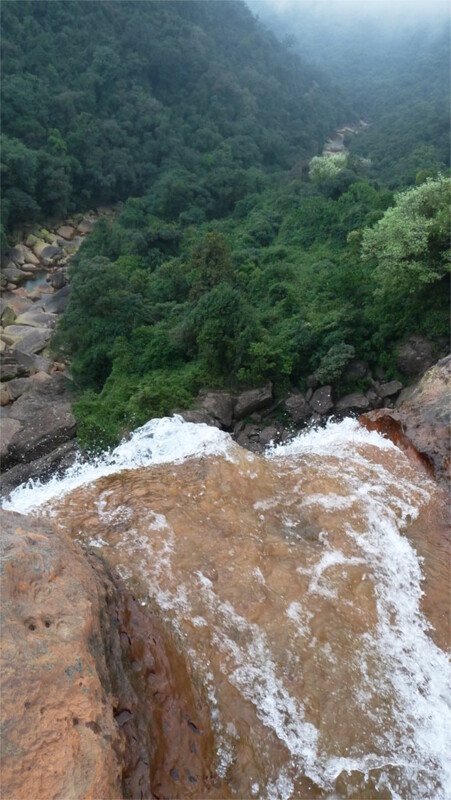 It was killed here and cut into pieces (dein is a Khasi word meaning cut) which were thrown over the cliff. 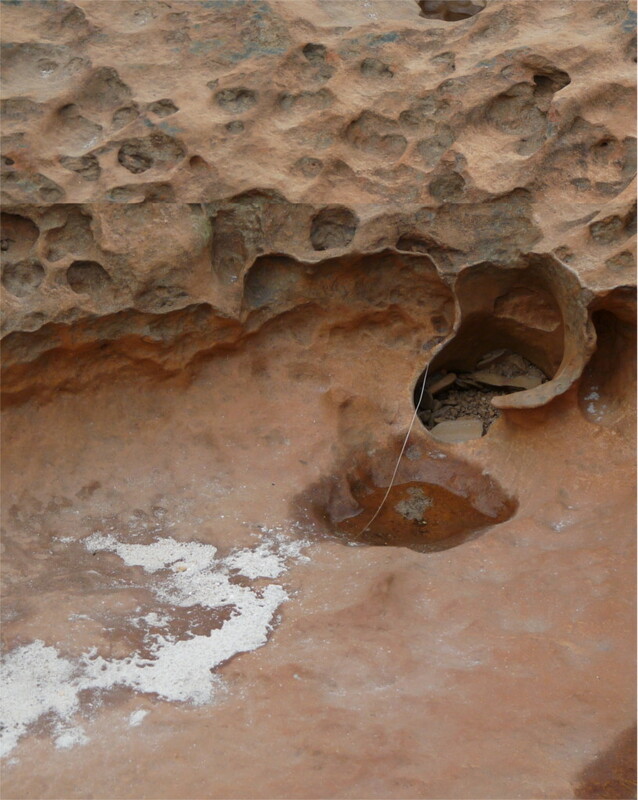 The rocks that you see below the fall are supposed to look like pieces of the snake. Raju drove along the narrow road. We couldn’t see a waterfall anywhere in that flat land, and wondered whether we’d taken a wrong turn. Then we came to the bridge which you see in the photo above, and crossed it. On the far side was a battered board which said “Dain Thlen waterfall”. There was no one in sight. The rocks were uneven and full of large hollows. We parked the car at the edge of the road and walked across the amazing rocks. Where was the waterfall? 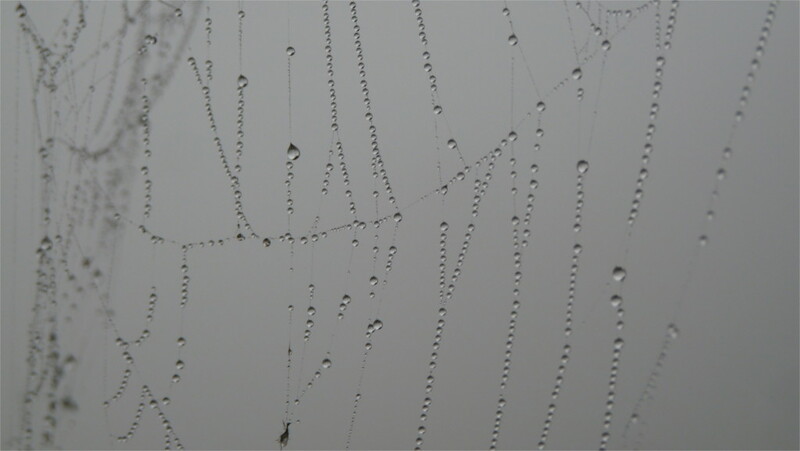 It struck us after a while that all we had to do was to follow the stream. Sure enough, the stream tumbled over the edge of a cliff where these rocks ended. There was a safety fence across the edge. We peered over it to look at the stream disappear from view, and appear far away as a narrow river. Now I see from a map that we could have gone another few kilometers down the road, and maybe we could have walked upstream a bit to see the waterfall from below. At that time, without a map, we just followed the fence around to a curve in the tableland. From this other angle I could take the featured photo. The rocks here were amazing, and I went a little mad taking photos. 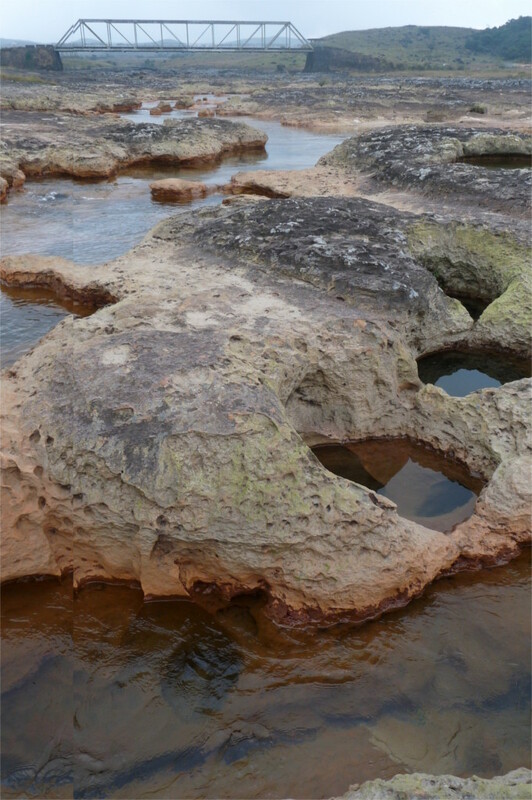 I guess smaller rocks driven by monsoon waters must have eroded these hollows on the rocks. They are distinctive enough that an alternate form of the story of Thlen refers to them. We left completely charmed by this place, which, at least five years ago, attracted no tourists. 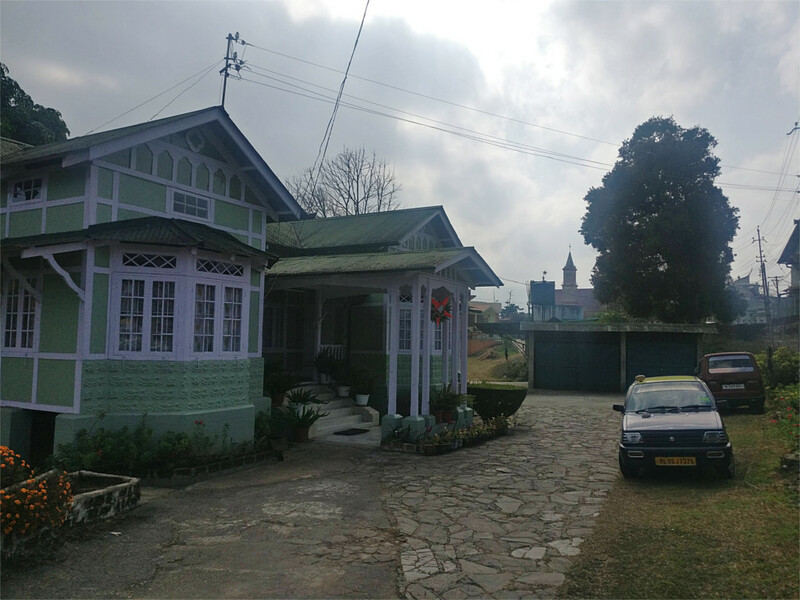 Four of us climbed off the Clan Bus and meandered into an incredible shop in Shillong. From outside it was not clear what the shop contained. The Family peered at the window, which was full of blankets and little figurines. The clay figures piqued her interest, so we walked into the shop. 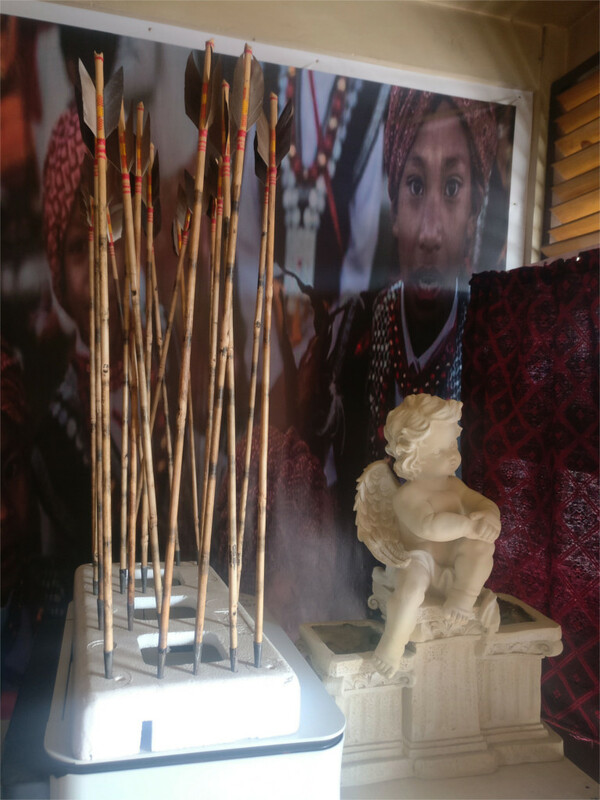 Very little light filtered into the place, but the little that came in lit up a trove of marvels: tribal clothes, metal and glass chains, arrows! 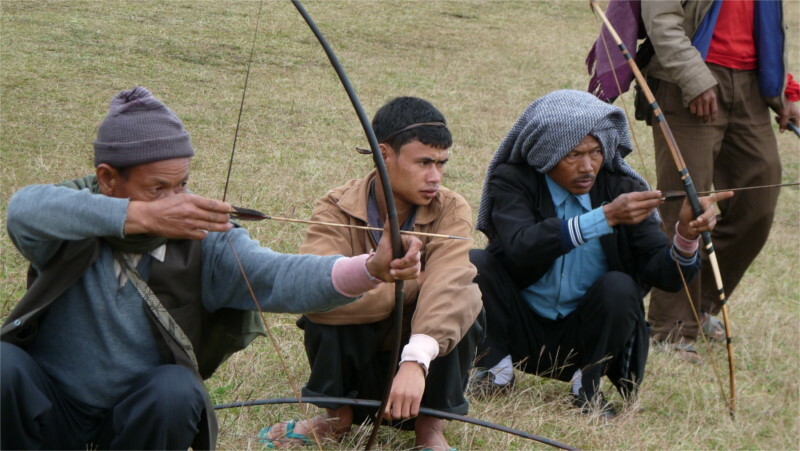 There are three major tribes in Megahalaya: the Khasi, Jaintia, and Garo. The tribes had maintained independence from the Ahom kingdom, and lay on the periphery of the sultanate of Sylhet. With the fall of Bengal in 1757 CE, the Jaintia and Khasi tribes expanded into parts of the plains of Assam and Bengal. 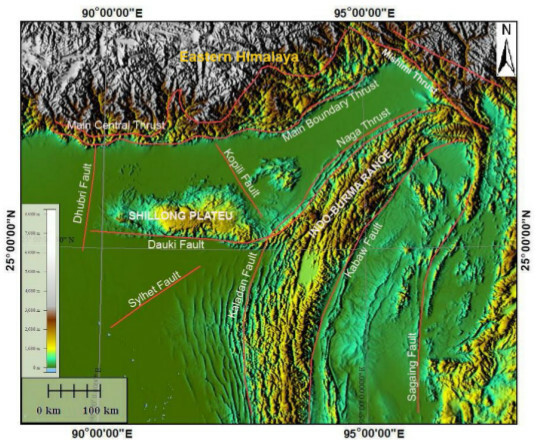 By the end of the 18th century CE, British interest in the limestone quarries of modern-day Meghalaya drew them into this region. Following the discovery of wild tea in Assam in 1821, and the British-Burma war of 1824, the British East India Company entered in force into this region. 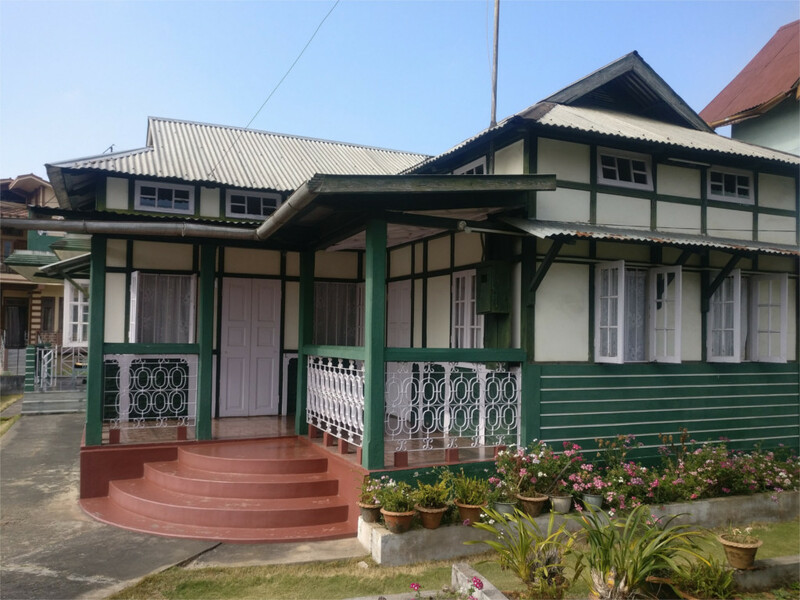 The city of Shillong, in the middle of a plateau raised over the north-eastern shield of India, was a creation of the British administration. 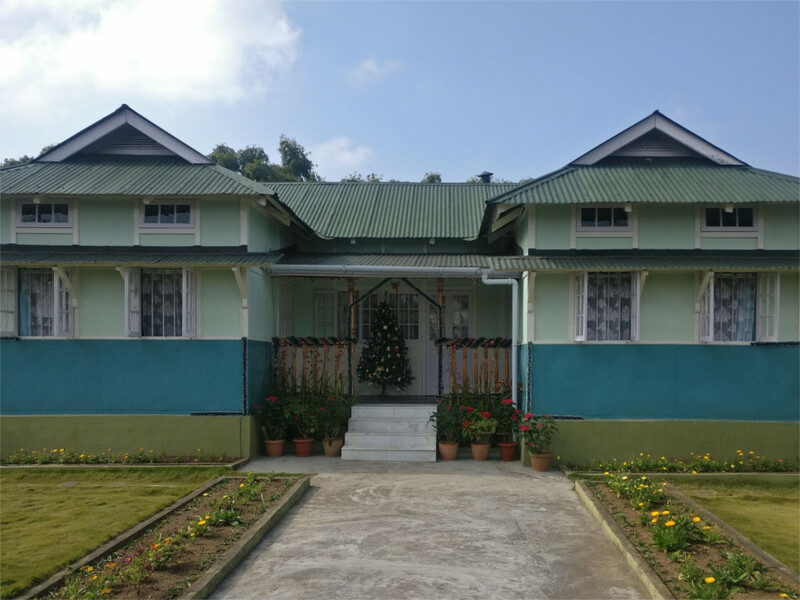 It needed an administrative capital for the north-eastern frontier, which it then called Assam, and created this town in 1829, making it a municipality in 1878. 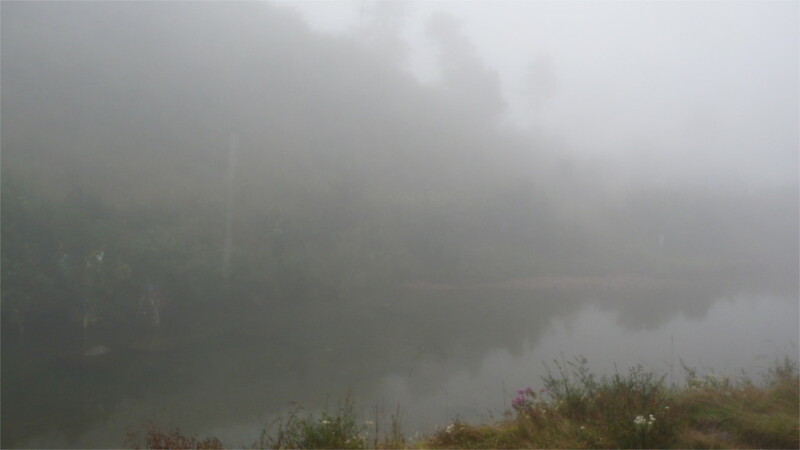 In 1972, when Assam and Meghalaya were separated, it became the capital of Meghalaya. 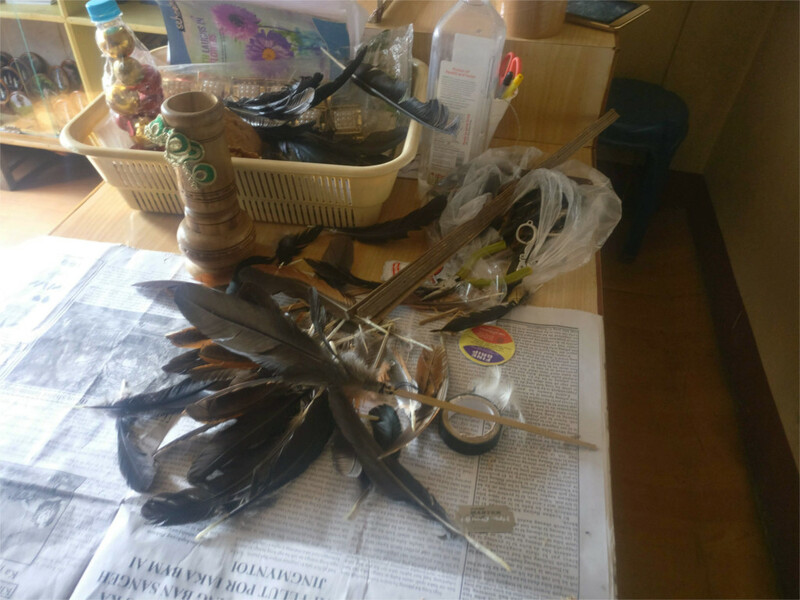 A young man came out of the house behind the shop and sat down at a counter full of feathers and began chatting with us as he worked on a head-dress of feathers. I asked him which tribe would use the things he had. This was the best question I asked, because he gave me a complete run down on the differences between the headgear, clothes, and arrows of the three tribes of Megahalaya. A quick and limited reply is that the headgear is nearly the same; the length of the feathers is the main difference between the usage of the different tribes. We pottered around the enchanting shop. Christian symbols have been incorporated into tribal life today, since the proselytising British rule. However, more ancient tribal customs, like matrilineal inheritance, remain intact. The man was working in his mother’s shop, and would eventually leave when he got married.